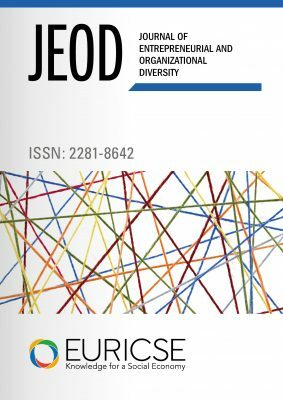 The Journal of Entrepreneurial and Organizational Diversity (JEOD) focuses on the subject of entrepreneurial diversity, encompassing therefore all enterprise types and models. JEOD seeks to serve as the principal outlet for theoretical and empirical research on the entrepreneurial phenomenon in its myriad of forms. We place strong emphasis on the determinants and the effects of entrepreneurial diversity as well as on comparisons between different types of enterprise and their aims. The Journal of Entrepreneurial and Organizational Diversity (JEOD) is published with the contribution of the Autonomous Province of Trento. BOOK REVIEW Christian Seelos and Johanna Mair: Innovation and Scaling for Impact. How Effective Social Enterprises Do It.